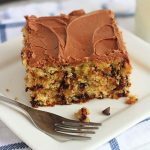 This cake is probably one of the most delicious desserts I’ve ever tasted! 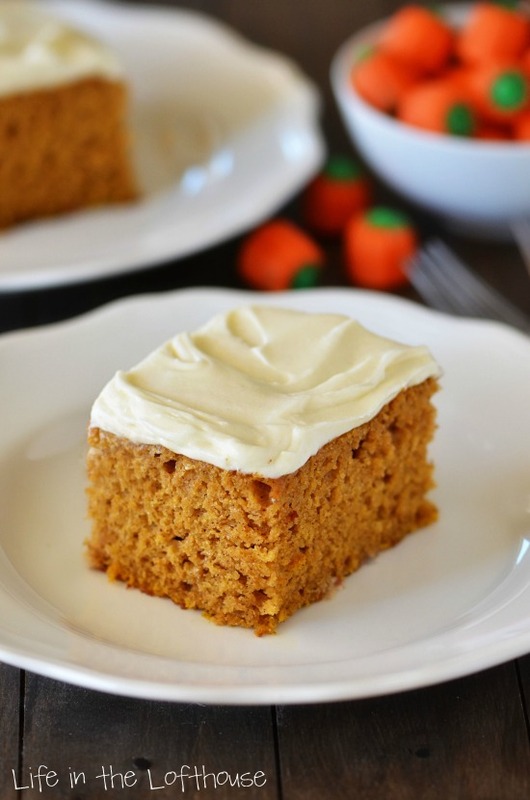 It is so moist, yet fluffy and filled with so much pumpkin flavor! 🙂 One of the key ingredients in this cake is apple sauce. It replaces half of the oil typically used, and makes it a little bit healthier (just a little. ha!) and extra moist and delish! 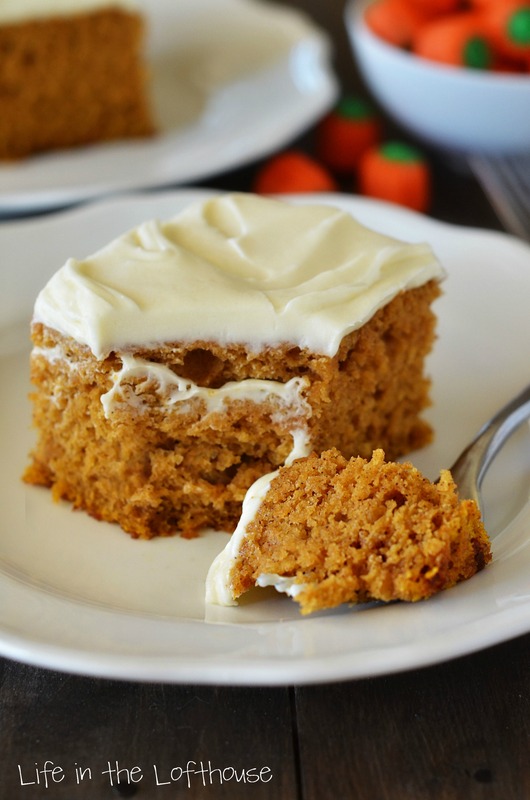 Moist and fluffy Pumpkin cake with a sweet and rich Cream cheese frosting! Preheat oven to 350° F. Grease a 9x13 inch baking pan with non-stick spray. Set aside. 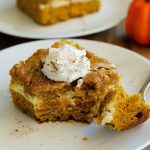 In a small bowl, combine flour, baking powder, baking soda, cinnamon, pumpkin pie spice and salt. Stir with a clean whisk to sift and combine. Gradually add the flour mixture to wet mixture, just until combined. Batter will be thick. Pour batter into the prepared baking pan. Bake cake for 28 to 30 minutes, or until toothpick inserted in center comes out clean. Cool cake completely before frosting. In a large bowl, add cream cheese, butter and vanilla. Beat with an electric hand-mixer on medium speed until well combined. Gradually blend in powdered sugar. 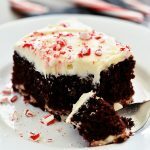 Frost cake with frosting and serve! Store cake covered in fridge, up to 4 days. What can I use if I have no applesauce ? I made this over the weekend. My husband is a fussy eater and he loved it. I added walnuts as we are nut lovers. I also used a butter substitute in the icing but can’t say that it compromised the flavor at all. This is an absolute keeper in our household now- delicious. Can I make this as a 2 layer cake instead of a square one? I have made this cake about a dozen times in the past year. The icing is totally amazing. (I add some nutmeg to the icing too.) Everyone loves it. It’s so moist and delicious! Hi! What if I bake it in a bundt cake pan? How long should it bake for? Do you recommend unsalted or salted butter for the frosting?